FixBone v11a Fix your colonist's bone. Gardening v10d Who doesn't like additional flowers? Soiling v10c Make your soil ground. Brighten v11 You need to build a lamp. Expanded History v10a Food and power graph. Global Temperature Controller v10a Make temperature harsher or softer. Animal Surgery Activator v10a Deprecated. No Cleaning Please! v10b Separate cleaning function from home zone. A classic, simple soil building mod. One of the first! You can build two kinds of soil floors for growing: Soil and rich soil. Use these as your farming purpose or 'floor eraser'. Also, buildable marsh provided just in case you want to erase your floor with marsh, or just use it as moat. You will have to start a new colony. 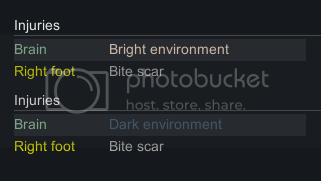 The most lightweight mod that makes you able to fix colonist's shattered bones. You can craft an artificial bone piece at smithing table. It's cheap, 30 steel and 10 plasteel, and stackable up to 20. Fix your colonist's bones. Especially arm's/leg's without going bionic, which is pretty expensive. Rib and clavicle: 2 pieces. Femur, tibia, humerus and radius: 5 pieces. Sternum and pelvis: 10 pieces. FixBone does not override anything, so it is compatible with many kinds of surgery mods, including Extended Surgery, Expanded Prosthetics, Glitter Tech, Cybernetic Storm, Apothecarius and so on. EPOE won't work though. Note for Ykara's EPOE users: You should use EPOE-Compat version of FixBone instead, for rib replacement. 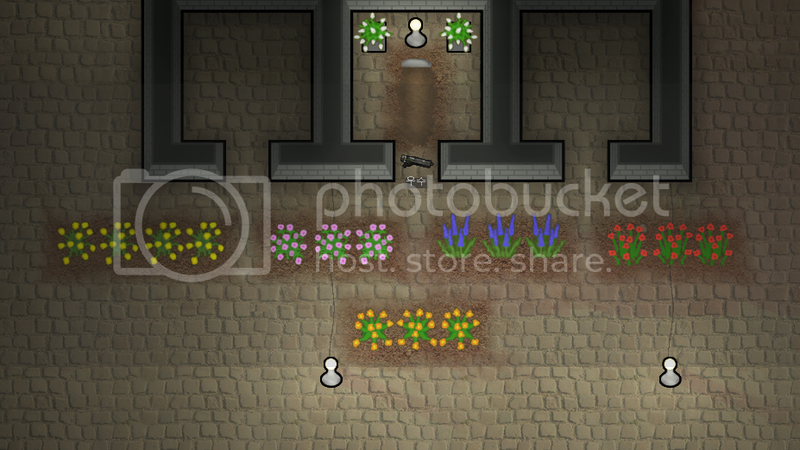 Small mod that adds flowers and a square plant pot. And makes grass sowable! Astragalus(new texture), Dandelion(new texture), Rosebay, Delphinium. They all have different beauty, life span and work need. Beauty of rose and daylily have buffed to match the new flowers. So simple graphic that it blends well with vanilla circular plant pots. This mod follows CC-BY-SA 4.0. A collection of door mats to prevent dust. Whenever a pawn steps onto a mat, all filth it carried will fall off. Keep your base tidy, make cleaners' life easier! Comes in a two size and three colors. You need to research carpet making first. A door mat must be built on artificial floors, e.g metalic tiles to work properly. If dust on a mat's count is over 5 (large one 10), the mat won't be able clean a pawn's feet. You can't build more than 3 mats in a single room. Search within Suggestions and Mods forum: door mat. Why not build some lamps? You are encouraged to build those, because darkness will make your pawns slower. You must walk carefully in a place full of darkness. So do your pawns. They move slower in darkness. In contrast, bright places provide nice working environment. Manipulation will go 20% in brightly lit areas. You must use sumlamps instead of standing lamps to achieve this. Adds new graphs to history tab, Power and Food. This mod is a conversion of indiecosmic's Extended History, made for Alpha 7. I do not claim any credit. Easily check reserve / generating / consuming power, and build generators accordingly. Easily check reserve foods, with separate meat/plant ingredient graphs and assign bills accordingly. XML-Definable global map temperature controller. Define temperature offset as you want. Make temperature of biomes differ much more by changing <biomeFactor>. Make winter colder and summer hotter by changing <annualOffset>'s curve points. You can even use it to freezing night and burning day via modifying <dailyOffset>'s points. Default values included. Tweak it as you want. Turn on your "Verbose logging" option and look at the left bottom side to see how this mod doing. You can also check logs. Motive from Marvin's Hot and Cold Pack (somehow). Separate cleaning function from home area to "cleaning area". They won't clean a dust over there because it is there. You can designate where to clean specifically. Don't feel like to clean your butchering room? Then don't. Does this work with (random mod)? Does not work with any mod that modifies cleaning behavior. If the mod adds filth with custom class, it isn't compatible. Cleaning zone does not designates itself automatically, unlike home zone. PM me through Ludeon or leave a comment on Steam for license.